As Sports Journalists in Liberia gear up to elect a new leadership team this weekend, support for ELBC/The Monrovia Times Senior Sports reporter and presenter Kolubah Zayzay is said to be increasing by the day. The ELBC/The Monrovia Times Sports presenter who is one of Liberia’s best in the area of sports writing and reporting has in recent weeks received a couple of endorsements from sections of the Sports Writers Association of Liberia (SWAL). The former ELBC Sports Editor two weeks ago was endorsed by the “Pressure Group” in SWAL, known as the SWAL-Majority Bloc and on Tuesday was given another endorsement by SWAL members who are members of the Photographers Association of Liberia. The SWAL Photographers said they see Kolubah Zayzay as the best alternative at the moment to lead SWAL for the next three years. Kolubah could challenge for the SWAL presidency against an ex-sports writer Varmah Kamara who once worked at Truth FM Radio in Paynesville, but is now running PR works for the Youth and Sports Ministry. Speaking with The Monrovia Time Newspaper earlier this week, several members of the Sports Writers Association of Liberia said they were not willing to give SWAL leadership to individuals who have resigned from Sports writing and reporting. They told The Monrovia Time Newspaper that they see Kolubah Zayzay as the only one best suited for the SWAL presidency at the time. The current SWAL Secretary General who is a recipient of several awards from various sporting federations and institutions has won the hearts of many in the Association since becoming a member of SWAL in 2003. Several SWAL veterans and the outgoing SWAL President Roland Mulbah and Vice President Moses Garzeawu have also given him their blessings ahead of the election. Three other candidates who appeared as favorites to win positions in the election have thrown their weight behind Kolubah Zayzay. 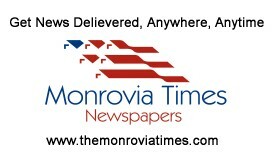 The Monrovia Time Newspaper understands that, Trojan Kiazolu who is vying for the VP post, Julius Konton, seeking the Secretary-General post and Success Minor contesting the Assistant Secretary-General post have all joined Kolubah Zayzay to form a formidable team. The SWAL election will take place Saturday, December 15, 2018 at the Press Union of Liberia headquarters on the Carey Street in central Monrovia during the 2018 SWAL Elective Congress.